Since everything is grey outside, and as I am not very inspired currently, I thought I take a look at my photo folders and upload a few older ones. 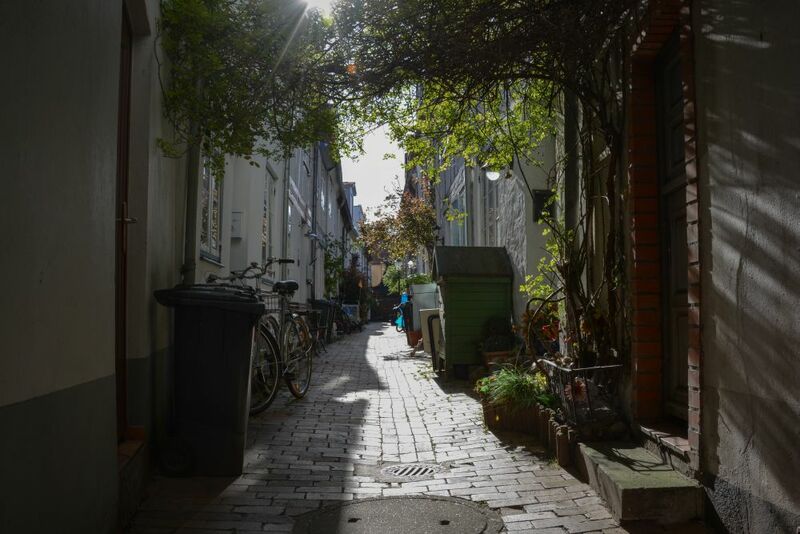 Here is a photo I shot last summer or so, it is a beautiful narrow alley, we have many of them in the city centre of Lübeck, but to find them, you must know where they are. Some of them are very hidden, others not. A classic. You only see places like that in old cities. Love them and the cobblestones.